"Working together was interesting, challenging, and fun. I can't thank you enough for taking my stories and putting them in a comprehensible order, focusing more on my younger, formative days with my parents, and helping me remember great events that added so much to the book." – US Senator Barbara Boxer. Her memoir, The Art of Tough, was published by Hachette in June 2016. "Figure out how to get Alan on your side. He took my rambling manifesto and helped me hone it into a sharp, funny, culture-changing book featured in the New York Times, the New Yorker, The Atlantic, the Times of London, and most recently on The Daily Show." – Lenore Skenazy, author Free Range Kids – How to Raise Safe, Self-Reliant Children Without Going Nuts with Worry. "Alan is enthusiastic, imaginative, razor-sharp, concise. His line-editing is specific and actionable; his developmental advice truly invaluable, providing focus and direction to the often chaotic process of writing a first novel." – David Tomlinson, author of The Midnight Man. A 5-star Olympic Gold Medal for editing! 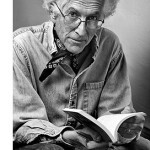 "Alan Rinzler has edited seven of my books, and no one compares to his competence as an editor. Everything I write he makes better. Alan knows the business, knows writing and understands a writer’s needs. He has my 5-Star Olympic Gold Medal for editing! I’m grateful to have had the opportunity to work with him." – Michele Borba, author of Building Moral Intelligence, The Big Book of Parenting Solutions, and others. Memoir or novel for my true story? Is your book in need of emotional glue? Can I really become a better writer?